The Black Dyke Mills Heritage Venue07872 052773work Event OrganisersThe Black Dyke Mills Heritage Venue is situated in a former weaving shed in Victoria Mill – part of the Black Dyke Mills complex in Queensbury, Bradford. The venue hosts concerts, exhibitions, workshops and events for active community engagement in the textile, transport and musical heritage of Queensbury. The Black Dyke Mills Heritage Venue is managed by Queensbury Community Heritage & Action Partnership (Q-CHAP). 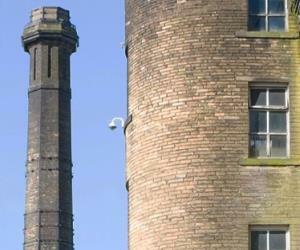 The Black Dyke Mills Heritage Venue is kindly supported by a Bradford South Ward Grant. Finding Us: We can be found by entering the Black Dyke Mills complex from the Brighouse Road entrance (opposite Tescos). There is car parking available (free of charge). The Black Dyke Mills Heritage Venue can be found on the second floor of the Victoria Mill Building - the entrance is under the archway. All our events are well signposted. The Victoria Mill Building has level access for the car park and a lift is available to the second floor. The Black Dyke Mills Heritage Venue is situated in a former weaving shed in Victoria Mill – part of the Black Dyke Mills complex in Queensbury, Bradford. The venue hosts concerts, exhibitions, workshops and events for active community engagement in the textile, transport and musical heritage of Queensbury.